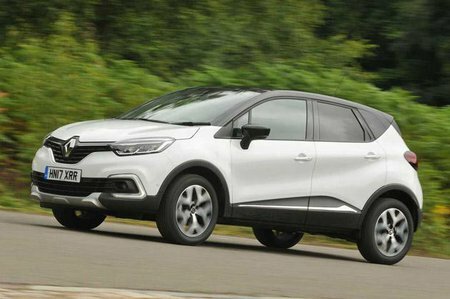 Renault Captur Boot Space, Size, Seats | What Car? 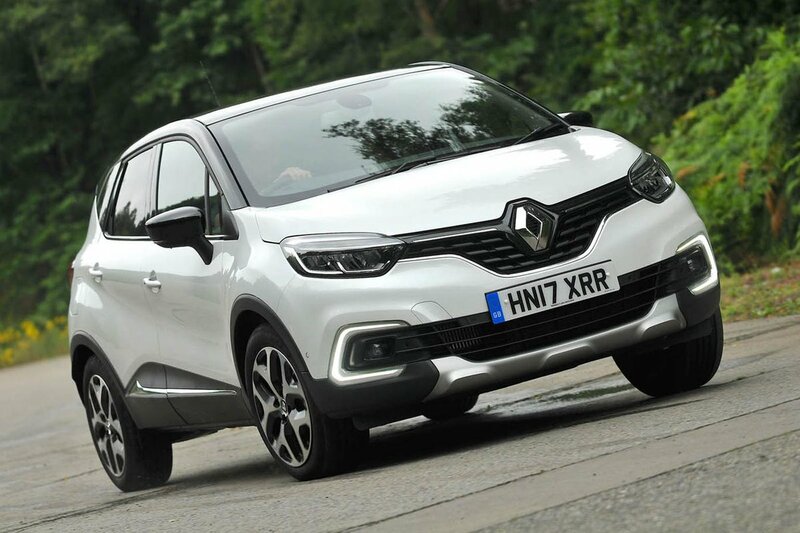 There’s plenty of room to accommodate taller drivers (especially if you don’t have the panoramic roof), although the Captur is a small car and that shows in a fairly narrow cabin, so there might be a bit of elbow clashing with your front-seat passenger. The glovebox is quite small, but there are two recessed cupholders between the front seats, usefully deep door bins and a cubby at the base of the dashboard that’s ideal for your phone. A shallow storage area on top of the dash is good for loose change or other small items. Removable and washable seat covers are standard on Dynamique Nav and Dynamique S Nav trim levels. All Capturs have a rear bench seat that slides backwards and forwards. However, even with it set as far back as possible, leg room is a bit tight for adults, so longer-legged people are likely to have their knees brushing the back of the front seats. Head room is good, and it’ll be more than adequate for children, but rivals such as the Suzuki Vitara and Vauxhall Crossland X offer more space in the back. You have to go for Dynamique Nav trim or above to get storage nets on the back of the front seats. The door pockets aren’t very long, but they’ll take a 0.5-litre bottle. The sliding rear bench is a useful feature, particularly because it can be adjusted either by those sitting on it, via a lever underneath the seat squab, or by someone leaning in from the boot, via a lever that protrudes from the back of the seat. It’s just a shame that the bench can be moved only as one unit, although the seatbacks do fold flat in a 60/40 split. A height-adjustable front passenger seat isn’t available, even as an option. The Captur’s load space is impressively practical. There’s a variable-height boot floor on all models, which in its highest position brings the floor flush with the load lip. The boot opening is also a practical square shape, which helps make loading bulky items easy. 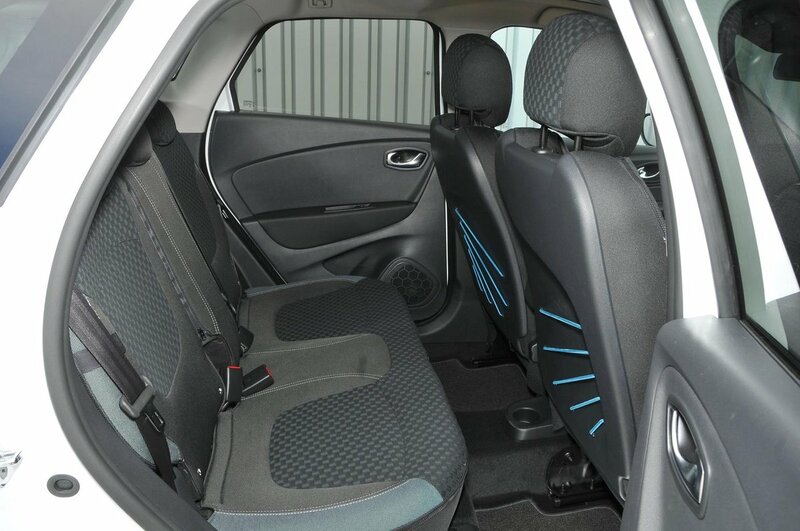 The standard sliding rear bench seat means you can vary the amount of boot space. Move the bench as far forward as it’ll go and you’re left with more space than a VW Golf can offer. However, you have to put the variable boot floor in its lowest position to avoid creating a cavern between the back of the rear bench and the boot floor, down which any small, loose items are likely to drop and roll around beneath the raised floor. With the boot floor dropped, the load bay is smooth all the way to the back of the rear bench. Even with the bench slid all the way backwards, boot space will be fine for most normal everyday use; there’s enough room for a family’s weekly shopping, for example. If you’re planning to carry a child’s buggy, though, check that it’ll fit because some of the larger designs may be a squeeze.